I like to consider myself a person of principle. The kind of person who knows what she believes and takes a stand on the big issues. The kind of person who does the right thing just because it is, you know, the right thing. Then again, I’m also a pragmatic person. A gal who knows how to choose her battles, and is able to forgive and forget; to let things slide. “It’s not a hill I want to die on…” is a phrase I’ve been known to utter, and many’s the time I’ve turned the other cheek and walked away from conflict (although admittedly part of that is because I bitterly, bitterly detest and fear conflict). So there’s that polarity: I admire people who are steadfast and true to their beliefs all the time, no matter what. The giants of human history are made from this: relentless pursuit of a goal, refusal to back down, victory or death! But then again, being able to see the other side, to change your tune, to compromise; to forgive…these are also praiseworthy traits. I think about these things a lot when I ponder our world, especially when I hear or read news stories that strike that wrong nerve in my conscience. What would I do in defence of my beliefs? Would I tell a fellow parent that it’s unacceptable to make homophobic comments on the playground? YES (true story: I have). Would I stand in front of a tank in defence of democracy? No…no I don’t think I have the balls to do that. With the controversy over the Sochi Olympics and Russia’s infamous anti-gay legislation I got to wondering. Olympic athletes are, by and large, normal people. Apart from the men’s hockey teams, they’re not rich and famous. But that’s the point, isn’t it? Our athletes are folks with regular jobs who devote all their spare time and money to the pursuit of their passion: sport. They’re not politicians or visionaries or public figures, but many of them have had to make that tough choice: do I go to Sochi? Do I risk being arrested just for being who I am? Do I give up my hopes and dreams and throw away years and years of training? Do I stay home? Do I stay in the closet? Do I risk it all to take a stand? 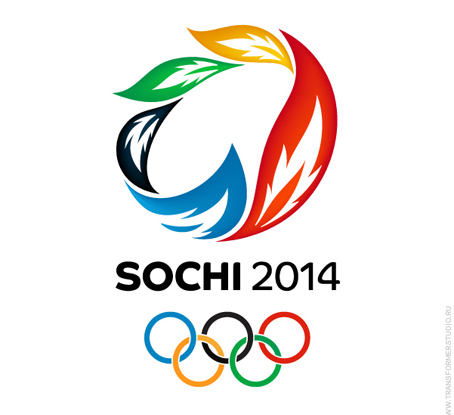 When nations like the US appointed openly-gay Olympians to their Sochi delegations, I applauded. And yesterday UN Secretary-General Ban Ki-moon added his voice to the many others condemning the persecution of LGBT people in Russia. Both men are taking a stand and sending a message to Russia and to the world. The media reaction has been interesting. With only a few exceptions, most media see the doodle and accompanying text as a clear message against Russia’s homophobic laws – the doodle is clearly a rainbow (they even got the colours right), and the quotation hardly leaves much to the imagination, does it? So yes. Many influential people and organizations are taking a stand, and I applaud them for it. But then again, none of them has any skin in the game, do they? The real heroes of 2014 are not the politicians or the corporations, but (and this is as it should be) the athletes. I DO think it’s really great to see countries and big corporations like Google speak up on the issue because these are people with reach, and there are plenty of people, even in our own nations, who still haven’t accepted it. but risk? You’re spot on – for corporations, a few have taken the stance of including mixed families (be they of colour or LGBTQ couples) and in the odd cases where there has been opposition, the supporters were even more vocal, and the net result has been positive. So for them, not really a risk. For the athletes? Such a big decision, and I don’t think we can really fault any of them for their decision, no matter which way they went, as long as they thought about it a bit. There’s a lot of factor in there for them. did you see the dutch athlete shoving a rainbow glove in the camera after her run? awesome!